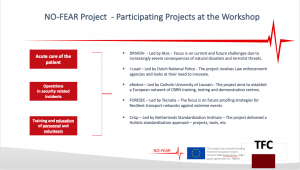 On the 15th February 2019, the NO-FEAR project will conduct a workshop on European Standardisation. Led by partner, TFC Research and Innovation Limited, the workshop will involve a number of societal security research projects including: Driver+, I-Lead, eNotice, ForeSee and the Crisp project. The workshop is aimed at determining where standardization gaps and opportunities may exist, as perceived by the European security research community. The key words are ‘perception’ and ‘research community’. At the workshop, we will listen to the engaging discussions based on pre-defined questions, which each participant has received and will answer in advance. Through this collaboration and engagement exercise, we aim to learn from the research community experience and obtain their perception and understanding of European security standardisation. The outcomes of the workshop will be shared amongst the participant. The professional representing the participating projects stem from different research backgrounds, which is deliberate so as to help stimulate the discussions and learn from different viewpoints. Obtaining the researchers perspective at this point of the process is key. We will use the 3 pillars of the NO-FEAR project to help our discussion. The three pillars are listed in Figure 1 and are i/ Acute care of the Patient, ii/ Operations in the Security related Incident, iii/ Training and education of Personnel and Volunteers. Valuable knowledge, insight and understanding from individual Researchers perspective will be obtained from the workshop. Guesting the workshop will be the chairperson of CEN/TC 391 working committee (ie. Societal and Citizen Security Committee), Ms. Patricia Compard, who will support the discussions of the workshop. 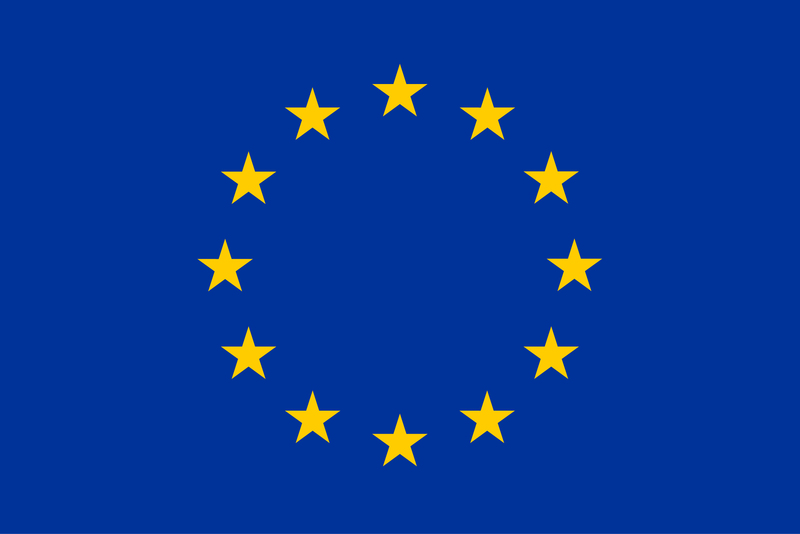 A collective view will be ascertained and collated so as to contribute to the strengthening of future European standardisation outcomes, results and impacts derived from European Commission supported projects. Aims to bring together a pan-European and beyond network of emergency medical care practitioners, suppliers, decision and policy makers to collaborate and exchange knowledge, good practices and lessons learned. Members of the network will collaborate for the development of common understanding of the innovation potential that will fill some operational gaps and pinpoint areas for future research. This CSA project commenced in June 2018 and will run for 5 years. Aims to provide cost effective and reliable tools for the improvement of the resilience of transport infrastructure. Its purpose is to reduce the magnitude and/or duration of disruptive events such as earthquakes, floods, fire or landslides. Through new innovative technologies, methodologies and resilient schemes, FORESEE addresses the effectiveness of measures aiming to improve the ability to anticipate, absorb, adapt to, and/or rapidly recover from a disruptive event, mainly in road and rail. This R&I project commenced in September 2018 and will run for 4 years. Aims to address current and future challenges due to increasingly severe consequences of natural disasters and terrorist threats, through the development and uptake of innovation solutions that are addressing operational needs of practitioners faced with crisis management. Project was launched in May 2014 and is on-going. Focuses on the incapability of groups of operational Law Enforcement Agencies (LEA) practitioners defining their needs for innovation. This will be performed in a methodological way with the help of the research & industrial partners supplemented by a broad range of committed stakeholders. I-LEAD aims to build the capacity to monitor the security research and technology market in order to ensure a better matching and uptake of innovations by law enforcement agencies with the overarching aim to make it a sustainable Pan-European LEA network. Was aimed at the facilitation of a harmonised playing field for the European security industry by developing an innovative evaluation and certification methodology for the CRISP certification scheme for security systems. Commenced on the 1stApril 2014 and closed on 31stMarch 2017. Focuses on the establishment of a European network of CBRN training, testing and demonstration centres and is aimed at enhancing CBRN training capacity for improved preparedness and incident response through increased collaboration between CBRN training centres and practitioners’ needs-driven CBRN innovation and research. The undertaking is being led by Tom Flynn (@TFCENGAGE) of TFC Research and Innovation Limited (@TFCRIL). Tom will chair the workshop on the 15thFebruary 2019.